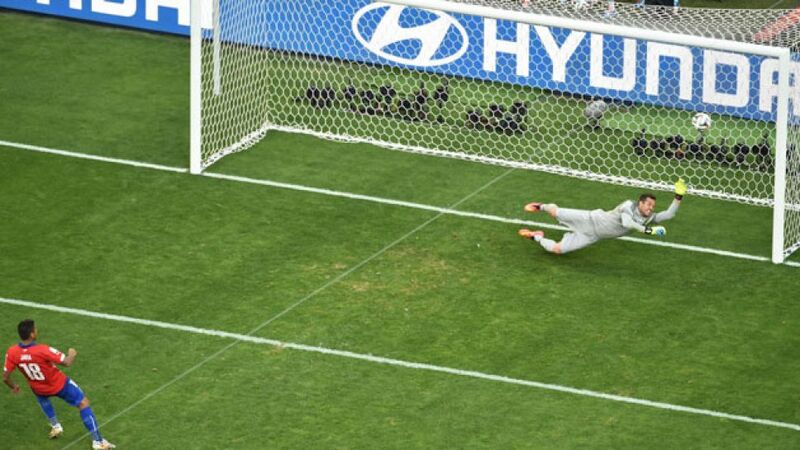 Back in the summer, was the name on every football fan’s lips as the man who missed the crucial penalty for Chile against hosts Brazil in the last 16 of the FIFA World Cup. The disappointment, he recalls, was devastating, but the 29-year-old now has a smile on his face again thanks to a move to the Bundesliga with 1. FSV Mainz 05. Chile had thrilled spectators across the globe during the group stages of the tournament, playing some breathtaking attacking football and beating defending champions Spain along the way. Their dream of reaching a first World Cup quarter-final since 1962 was shattered, though, when Jara’s spot-kick struck the post and bounced across the face of goal. In the immediate aftermath, his team-mates wept while Jara continued to cut a composed figure - until the gravity of the situation dawned on him. “I was calm right after the game. We knew that beating Brazil would open up even greater things, but it wasn’t to be," the 71-time international told Chilean radio station Radio Bio Bio. The picture he paints is of a man incredibly at ease with how his career has panned out in the unpredictable world of professional football. When his spot-kick rebounded off the frame of the goal in Belo Horizonte, Jara was actually without a club having been released by English second-tier side Nottingham Forest FC, the last of the three clubs in England he represented, following spells at West Bromwich Albion and Brighton and Hove Albion. Yet far from dwelling on a somewhat stop-start career since leaving Chile back in 2009, Jara has simply embraced the opportunity he has been given by Mainz. “I don’t miss England. As a footballer, you need to know that sometimes you have to move around or play in a different country - that’s how it is. The important thing is that you adapt.” It is precisely that final quality - the ability to acclimatise to new surroundings and a new playing philosophy - in which Jara seems to be excelling at the Karnevalverein. Five years in England mean he has no problem understanding and implementing the instructions of Danish coach Kasper Hjulmand, who communicates in English on the training ground, and Jara has played in so many positions in his career that he must be a dream pick for the Dane: a right-back at West Brom, a left-back for Chile at the 2010 World Cup and a centre-back in a 3-4-3 system in Brazil. In the Matchday 7 draw at Borussia Mönchengladbach, Jara looked to have struck up a particularly solid partnership with Costa Rican full-back , who calls him “an asset to the team with a lot of quality”, while other Spanish-speaking players and have also made him feel more welcome. Ultimately, though, it is his ability that has facilitated a successful beginning to his Mainz career. His current deal runs until the summer of 2016 with the option of a further year, but based on his first five appearances, this could be an altogether longer association.